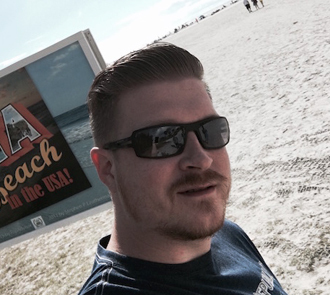 Sean Howard - Sewelltech, Inc.
Sean was born and raised in Dallas, Texas. I currently have an Associate of Arts, and I am currently working towards my Bachelors of Applied Arts and Sciences with emphasis in Criminal Justice, Sociology, and Management from the University of North Texas. I have been working in the Information technology realm going on 15 years now. I got started in the early 90s when I used to help my father build motherboards for his job. My father taught me my love for technology and computers. During our past time, we would build new components and PCs while working to develop our skill-set against “prehistoric” operating systems. In the past 5 to 10 years, I worked my way through several large corporations before landing a job at Sewelltech. I worked for Basset Furniture providing office and I.T. onsite support. I was a Mobile Sales Lead for Best Buy Mobile in which I learned a great deal of mobile technology troubleshooting. One of my favorite job experiences in the past 5 years was when I worked as a Senior Technical Advisor for AppleCare @ Apple, Inc. There I truly learned to hone my skills as an Apple technician troubleshooting a diverse product line from: Macs, OS X, iOS, iPhone, iPod, iPad, etc. Sewelltech has been Dallas/Fort Worth’s preferred Apple Service Provider for nearly 20 years. What started as a small, one-person shop in 1993 has grown to the #5 spot on Ingram Micro’s SMB 500 List in 2012. Since before the resurgence of Apple in the early 2000s, we have had a proven track record of helping people get the most out of their Apple Product. At Sewelltech, we are committed to providing sustainable and tangible network, software and hardware solutions. We offer hassle-free technical and support services and the latest, top-of-the-line Apple parts and computers. As part of our superior customer experience, our Apple Certified Technicians thoroughly inspect your device, diagnose the issue and address it without charging you for unnecessary services. To speak with one of Sewelltech’s Certified Apple Technicians, contact us or visit our office today. What is an Apple Certified Technician? These professionals have demonstrated to Apple their in-depth knowledge of Apple technology by passing exams on Apple hardware, Mac OS X, Mac OS X Server, or Apple Pro applications. Sewelltech and Apple is pleased to highlight their accomplishments. Sewelltech’s Highly trained technicians are Apple Certified in both software and hardware support, so there’s only one number to call to get help. Technicians have a minimum of 5 years experience, Sr. Technicians have 15 years+ experience. The Ingram Micro SMB 500 ranks the distributor’s top 500 fastest-growing channel partners in the U.S. that are focused on servicing the nation’s small and midsize businesses (SMBs) with 250 or less employees. 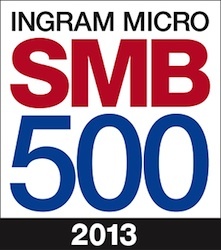 Ingram Micro’s 2013 SMB 500 is derived from more than 20,000 U.S. solution providers that work with the distributor’s SMB business unit. A complete list of the 2013 Ingram Micro SMB 500 can be seen at Ingram Micro SMB 500.